SPRINGDALE — For the ninth consecutive year, the Zion Forever Project will host 24 distinguished artists starting Monday for a week of creativity and inspiration in Zion Canyon as they paint in plein air style. 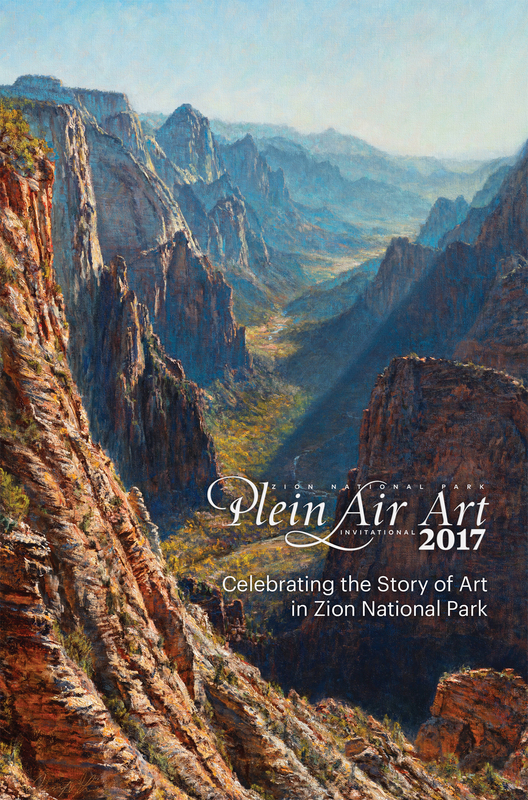 The Zion National Park Plein Air Art Invitational celebrates the influence of original art in the founding of the National Park Service over one hundred years ago and raises money to support the Park’s Youth Education Initiative and Arts programs. During the weeklong event, artists will be painting at several locations in and around the park, as well as leading painting demonstrations, holding lectures and rendering paintings for sale to the public. Studio paintings will be on display and available for purchase all week at the Zion Human History Museum and online. Art created during the invitational will be on sale in the Museum Nov. 11-12. Artists will hold painting demonstrations Monday and Tuesday at the Zion Human History Museum’s back patio beginning at 10 a.m. and going hourly until 4 p.m. Painting demonstrations will move to the Grotto shuttle stop Wednesday and Thursday hourly from 10 a.m. to 4 p.m. The artist’s demonstration pieces will be up for silent auction Saturday at the Zion Lodge auditorium from 11-1 p.m. The evening lecture series will be held at the Zion Lodge auditorium beginning at 7 p.m. Tuesday and Wednesday nights, then at the Springdale Canyon Community Center Thursday night beginning at 7:30 p.m. The weeklong exhibition culminates with two big events Nov. 11. The paint-out, where all 24 artists will be painting and creating pieces for sale to the public on the Zion Lodge lawn, and the Silent Auction of the artist’s demonstration pieces from inside the Lodge auditorium from 11 a.m. to 2 p.m. For more information on the Plein Air Art Invitational, please visit zionpark.org. Road construction along state Route 9 coming into Springdale may cause traffic delays up to 20 minute periods during the week of the event.